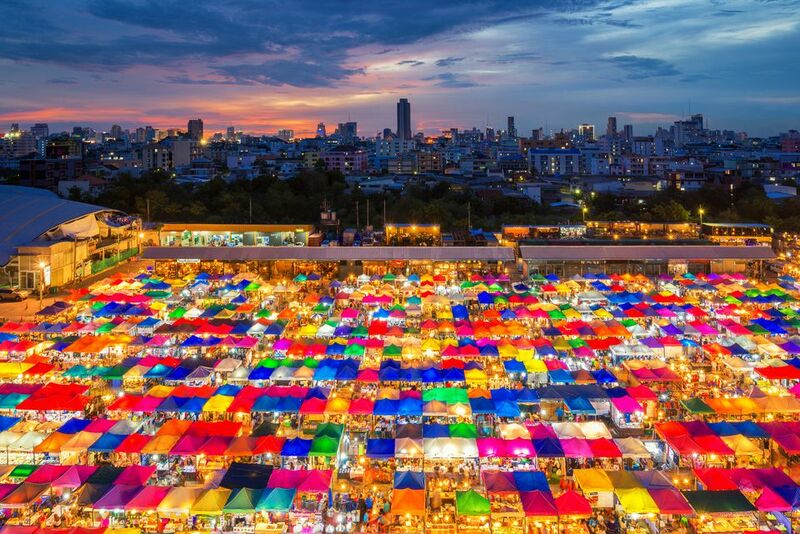 Bangkok, capital of Thailand, is a paradise for people who love shopping! Shopping and Bangkok seem synonymous to my mind. You will find the trendiest stuff here at dirt cheap prices. Not only shopping but the nightlife is also exciting here. You will only be missing a beach in the city but you can enjoy some time at the beach by traveling a few hours away from the city. So, it will a good idea to travel to Bangkok and some nearby island together in order to enjoy both kinds of atmosphere – City life and beach fun. By now you must have realized that Thailand is full of options and only you should have the spirit of an explorer. You must visit at least one of the above-mentioned islands. You can also enjoy activities like snorkeling, rock climbing and more once you are at the beach. 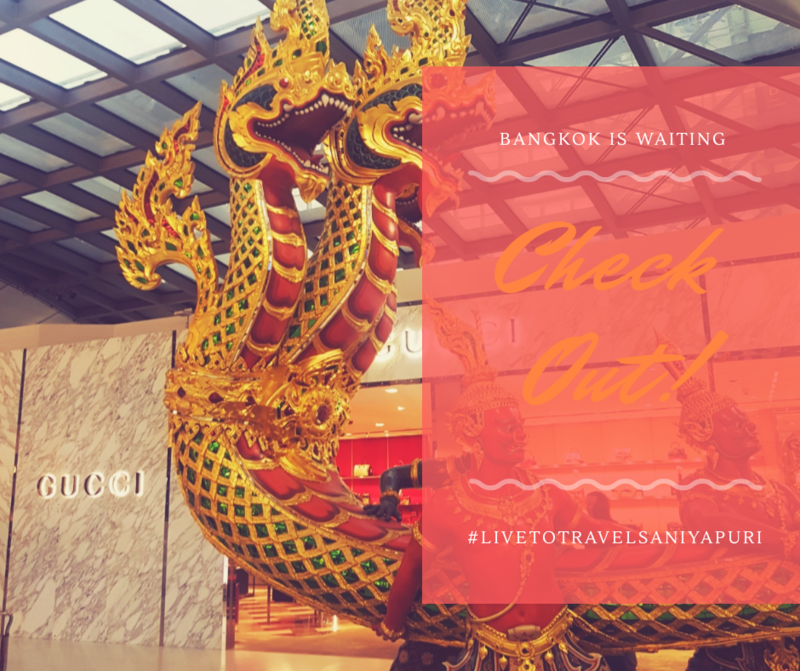 There are so many amazing things to do in Bangkok, it is a land of opportunities for travelers, so pack your bags and come along! Read “Travel Tips” before your next trip! I will be talking a lot about shopping in this post, so I think it is better to cover it first. 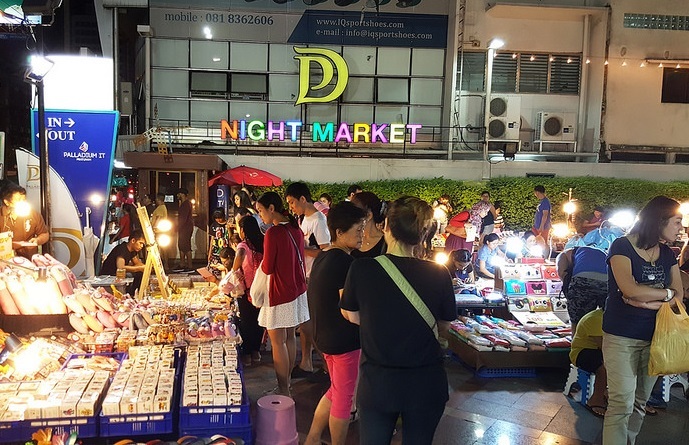 Bangkok is famous for street markets, night markets, and day markets. You will get all the trendy and quality stuff from the streets. I haven’t focused on famous brands here as the rates are equivalent to the rates in India. Why invest in something that you can always buy in your homeland? I find it better to buy things that are not easily available in your homeland or are cheaper comparatively. So let’s dive in! It is a huge mall consisting of 6 floors, divided into 2 buildings and 3 zones. It will take you at least 5 – 6 hours to cover the mall. One building consists of zone 3 and the other building (shown in the above picture) consists of the rest of the two zones. That’s not it, on the 5th floor of zone 3 you will find the entrance to the Novotel hotel. 6th floor of zone 2(or 1) is a big food court that has a variety of non-vegetarian food (meat). You will also find a fruit shop here ( if you are looking for vegetarian food). The other half of this floor is occupied by stalls of cosmetics, electronics, and other accessories. Rest of the mall is full of all the things that any girl could ask for, whether it be a handbag, pair of footwear, cosmetics, clothes, jewelry or a phone cover. This mall has it all. Out of the two buildings of 5 floors each, 4 floors are dedicated to women and just 1 floor is for men and children! haha. Check out the floor plan for all the zones below and you will better understand what I said so far. Zone 3 is comparatively smaller than other zones. You can buy bags and footwear here. A few years back, you could find copies of handbags from luxury brands as well but not now. Everything in this entire mall is available at cheap prices and is mostly of decent quality. You will find so much variety that you will be overwhelmed. The only thing that is missing from this mall is the XL size clothes for women. You must know, you will not be allowed to try clothes or exchange them. There is a variety of iPhone covers and a few others as well. If you love Jewellery then you will find a lot of it here that too at wholesale prices! You should bargain a little but not much as the shopkeepers get pissed off easily. There is a stall on the 1st floor where bedsheets are sold, the quality of the sheets is fine but the rates are unbeatable. Note the fabric is not cotton and mostly sheets are in single color, without prints on it. Only the pillow covers are printed. You will not be able to find the actual design on the sheets because you cannot open the packaging. The packaging shows only the printed pillow covers so there are chances that you expect something else. The shops inside the mall close around 5:30 pm and the same shopkeepers put up their stalls on the street right outside the mall after 5:30 pm. There they offer the same products at further cheaper rates! so you can find handbags and footwear at little better prices but other products like jewelry and phone covers are offered at the same prices. Bottom line: You must visit this mall and you will find the best in Bangkok here. When you get out of the mall, you will see my favorite Swensen’s ice-cream parlour! It is on the 1st floor, which is also the entrance to the mall (It is the part of the mall) Do have some ice-cream (I had my favourite Sticky Chewy Chocolate ice cream). Tip: Please double check your bill as sometimes the staff charges you for the other expensive ice-creams. The market starts around 6 pm and stays open till late at night. It is only a few steps away from the Platinum mall. This market has some good stuff, which is not available in the above-mentioned mall like name-plates for your house, I simply loved these. You must grab one for yourself, do bargain a little. The quality of wallets isn’t great so avoid buying it. The make-up products are super cheap, for example, MAC lipstick is for 80 baht! Yes, you are thinking right, it is an A-copy so don’t buy it. Rather I would not suggest you buy any cosmetics from such stalls in Bangkok. Don’t take a risk with your skin but you should buy make-up brushes for sure. You will also find O.P.I nail paints everywhere but again, don’t fall for it, those are original looking fake products. If you want to know how fake it is, then look at the bottom of the nail paint and check the sticker. If you want to buy some electronics then do check it before buying. If it is not expensive and you can risk that money then it is okay. Buy electronics from shops like Moshi-Moshi (or similar) which is on the 5th floor of the Platinum mall. In such shops, you at least have brand confidence. You are going to find a lot of Indians here, I mean really a lot! This is a hotel plus a market. All the shopkeepers inside understand Hindi(Indian language) so don’t think that they will not understand when you discuss bargains in Hindi with each other(if you are Indian). You will find super cheap stuff here and a lot of electronics like an iPhones worth 6-7k INR! but please don’t fall for it. They will not even last for a month. There are a few good electronic shops outside the market, check those if you want to buy a TV or a speaker. Read “Travel Tips” to make your trips better! It is a very good place to get a sight of something new and different from the city atmosphere but yes, again shopping area it is. Along with shopping, you get entertainment as many people are singing and playing instruments around. There is also a deck to enjoy riverfront view along with cafes and a few fun rides. It takes around 30 minutes from Pratunum to reach here. Things are costlier here as compared to the street market. You will find some copies of handbags from luxury brands here. There are many soi(meaning lanes) here that you might feel lost for a minute, just keep track of the soi number to avoid it. It is a huge place and starts every day at around 5 pm and closes around midnight. The area near the giant wheel is the area where you will find food stalls, rides, and some games. To make the place better, they have Mini so – a Chinese shop. It is a place to find good quality cheap products. Also, there is a big cosmetics shop with branded stuff. Check out this store as they run good offers at times. The store is on my left in the image below. I forgot its name. Take a look at our Youtube channel and find amazing travel videos. Don’t forget to subscribe to it! It is a weekend wholesalers market with around 7000 stalls. You will find all kinds of stuff here like furniture, home decor, gardening stuff, cutlery, antiques, pet accessories and much more. It is a huge market and it is hardly possible to check out the complete market in a day. Do bargain and make sure that the products that you are buying are not damaged. Any valuable should definitely be checked for authenticity. You can’t trust the shopkeepers and make sure to take care of your belongings. It is going to be hot, humid and crowded so come prepared. Wear light clothes and stay hydrated. Do carry cash because ATMs are hard to find. It is a good place to experience, just choose a good day to reach there. You can opt for a cab to make the trip easy and comfortable otherwise MRT is also an option. But I don’t prefer it as it will be a long and tiring day for you in the market so a head start with a cab will be better. On the way to Chatuchak, you will find a wholesale Dog food and accessories shop, do buy stuff for your loved one. The products like Jerhigh are at least 33% cheaper as compared to India. Even if you find shops anywhere else during other tours then do check out the stuff if at all you are interested. In short – dress well, stay hydrated and loaded with cash, bargain well and buy smart! 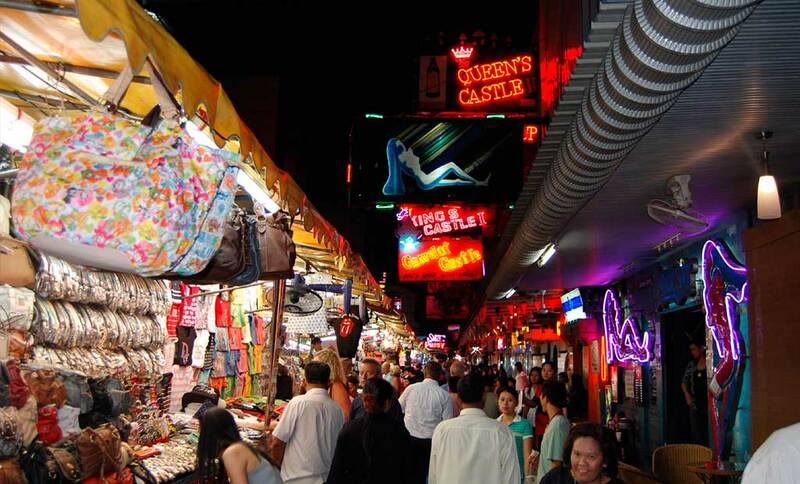 It is another daily night market famous for copies of branded products and strip clubs. You will find adult stuff as well here. The people are rude and especially towards Indians because they feel that Indians bargain too much and eventually don’t buy the product. So if you visit the market then bargain only if you are interested to buy the product. And, bargain reasonably. They might say stuff behind your back but who cares, right. It is particular to this market and not the entire Bangkok. Otherwise, the market is nice you will find good stuff here. The shopkeepers will brag that they have A-copies but don’t you believe them. Just check it thoroughly. Carry an image if you are looking for something in particular. Early morning street market for clothes. It is open every day from 4 am to 7 am. You will find good jeggings and best exchange rate all over the Bangkok here. You will not find any toilet nearby so come prepared. You can find good copies of luxury watches here. The water is not clean and you don’t shop while boating, if at all you have that in your mind because initially, I thought that. You can go boating if you want, the market is on the sides and there is also a food section, full of non-vegetarian food. The stuff in the market is nothing different from what you will find elsewhere. It is a very big mall near the Platinum mall and has a very enticing privilege program for tourists. You will find many brands here to shop from. If you want to catch a break from all the local stuff then this is the place to be. I don’t think other malls run special offers for tourists like this mall does, so if you are getting rewarded for shopping then why not, Just grab the offer! Wat in the Thai language means Temple. This is one temple that is a part of every city tour and has featured in a couple of movies as well. It is pretty and you should take a tour of this place. There are many more beautiful temples which should not be missed, check out the 5 must-visit temples in Bangkok. There are certain religious practices which might be different from what we see in our daily lives. Like the one we see in this image, people put currency notes on a tree as a donation. The possessor can use it for any purpose from repair work to other charity purposes. The tree is only donated once it is full grew and it is done along with music in the form of a ceremony. Shopkeepers keep it for various purposes like charity, repair works and more. People there believe if they pay for releasing the birds then it brings good luck to them. Basically, it the Karma theory. Madame Tussauds is always fun. You get to click a lot of selfies and pose a lot. I haven’t visited this one but I have visited the one in Amsterdam. Have a look!. The display is in one of the malls. You should buy your tickets online to save some money and time. 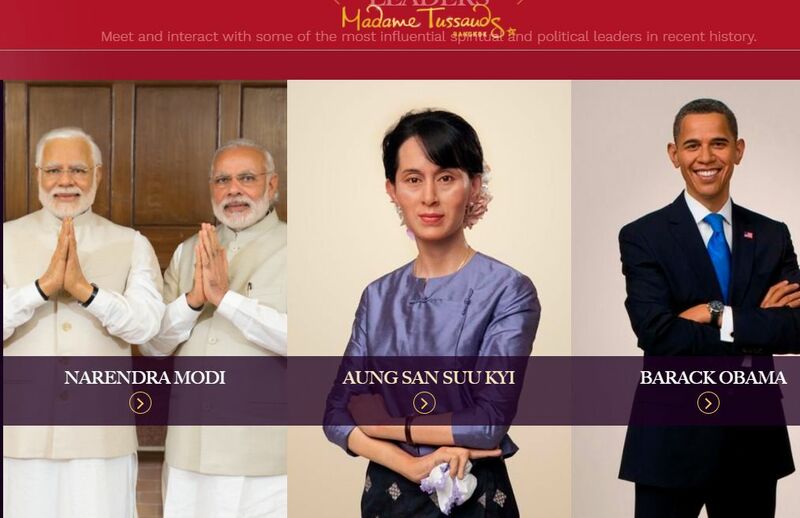 You will find statues of people like Angelina Jolie, Brad Pitt, Van Diesel, and Narendra Modi. Get ready to pose! You must visit this one if you haven’t any yet. 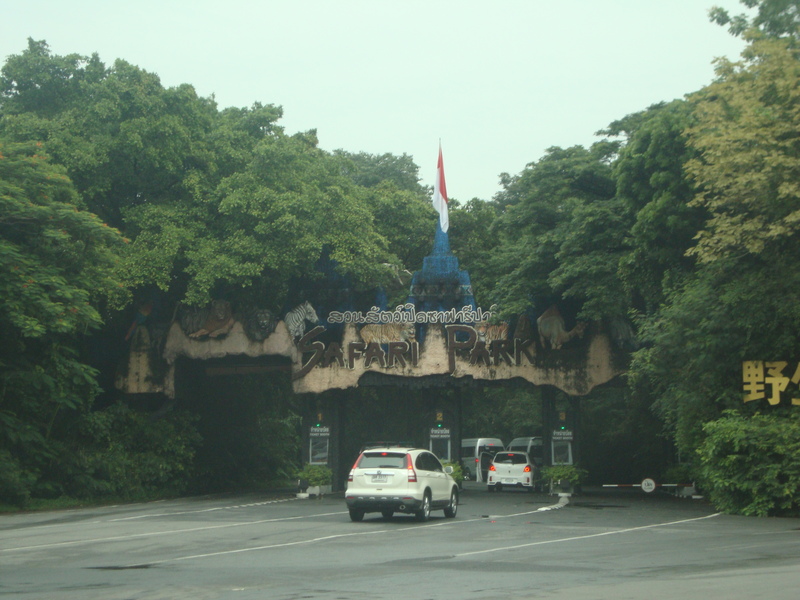 This image shows the entrance to the Safari world, you get a ride on a jeep along the park. The jeep doesn’t stop anywhere for you to take pictures. Check out some of the amazing animals which are found in here. Similarly, there is another entrance to Marine Park where you can enjoy the wonders of the ocean world. I guess this is one of the most beautiful temples in Bangkok. It is also known as Temple of Emerald Buddha. 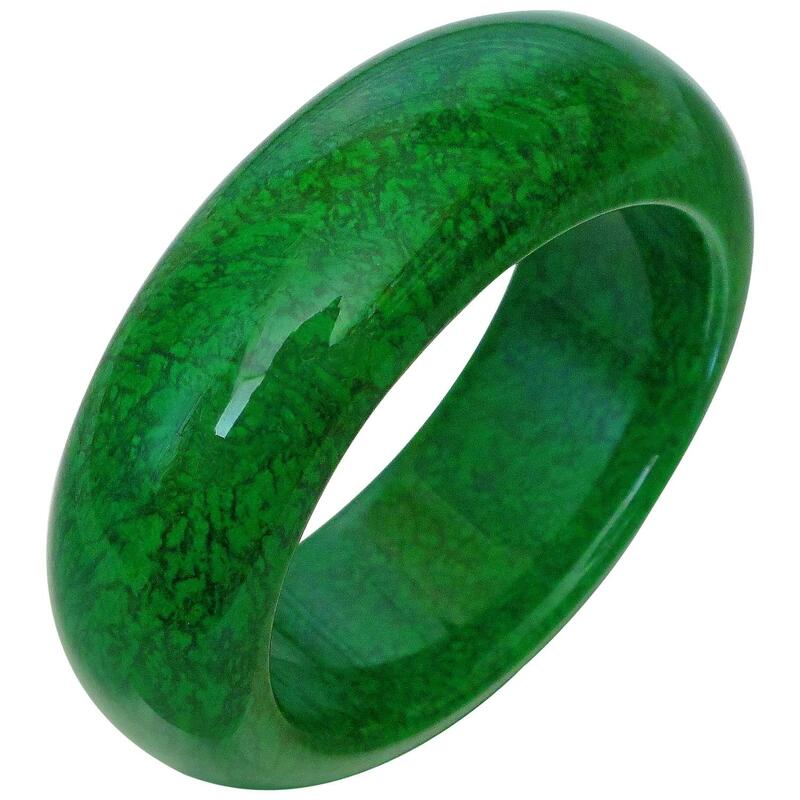 Like people in India treat Gold, people in Thailand treat Jade. It is considered a precious stone. The Buddha in the temple is carved on one big Jade stone. Nobody is allowed near the carved Buddha except the King. Thrice a year a ritual called “Changing of Robes” is performed to bring good luck to the country by the king. Grand Palace is one of the most beautiful parts of the Temple. Another not to be missed site is the balcony, it has inscriptions which tell the entire Ramayana epic. Above was the list of Amazing things to do in Bangkok, do let me know about your experience in the comment box below. Keep reading to know more useful things for your trip. Well, yes there are Indian restaurants in Bangkok. In fact, there are many. To name a few – Chotiwala, Sanjha Chula, Gagan etc. All these are located in a line near Baiyoke Sky Hotel. Right opposite Indra Square. Chotiwala serves good Indian food. I have had meals there a couple of times, every time the food was good except once that was during peak hours. Gagan restaurant has better decor and the food is also appreciable but the service is slow. Seems the servers are not trained well. It depends on what kind of holidays you want. Well, if you want to be near shopping areas ( & Indian restaurants) then stay in Pratunum. Pratunum is the same area where the Platinum mall, the Central world, and a few street markets are located. The Pratunum market is a street market and is really big. The market is between the lanes and you must take a walk along these lanes. There are many hotels in this area for various budgets. The hotels are cheap in Bangkok, you will find a good hotel for 7k-8k per night. I prefer to stay at Baiyoke Sky Hotel, which is located just behind Indra square and has the tallest building in Bangkok. It is a 4-star hotel but definitely feels like a 5 star. It is an 83-floor hotel, with a balcony on the 81st floor. There is a 360 degrees observation deck at 83rd floor and a city view bar on 77th floor. The big windows that you see in the picture, it is the lobby at the 18th floor. This hotel is a tourist spot due to its height. You will always find this place full of tourists in the morning. There is an amazing fruit buffet on the lobby floor for fruit lovers. There are many fruits available here and all are really yummy. You must have some. It is not necessary to buy the buffet. You can buy an individual fruit as well. The breakfast is provided at the 81st floor so you get an option to enjoy to dine on the balcony. The view is amazing from the balcony, have a look! The breakfast has a wide variety and tastes good. You will also find a food corner dedicated to vegetarians. This is my plate with some potatoes, macronies, egg and a bread slice along with a glass of orange juice. I also had a lot of fruits prior to this. 😀 The variety is amazing, especially for meat lovers. The hotel has a lot of restaurants apart from this but vegetarian people will find fewer options there. Finally, let me show you the rooms. The rooms are spacious and have all the necessary things that you will need during your holidays like a bathtub, a luggage room, make-up area, and a reading area as well. Perfect isn’t it! You will get many more options for the same price as this hotel but I find the location of this hotel most appropriate and moreover I love high rise buildings because of the view. Right outside the hotel, you will find a street market which is not that great. The quality of products is okay. You should not waste your time in this market rather just skip to the Platinum mall or other street markets. This gallery belongs to the Baiyoke hotel group. The stuff is cheap and so is the quality. Tip: Book room directly from the hotel’s website. Traveling to Bangkok for a longer stay? Find which sim card to buy, Airbnb rentals and more at Extreme Nomad’s Guide to Bangkok for more details. No, I am not suggesting you ride this. I am just making you familiar with the transport system. There are buses, metros, cabs, and tuk-tuks. This is one of the old buses, reminds me of Kolkata, India. There are other buses as well. Tuk-tuks ask as much as the cabs do. Then which mode of transport should you prefer? So, do what I do…use GRAB taxi. It is similar to Ola. It shows you fare before booking and gives you reward points as well. Since the fare is mentioned before booking you are sure that the driver will not take you through a longer route. Apart from the fare, if you use the toll road, you pay for that as well. You can get this cab at the airport also. The usual reporting time is from 5 mins to 15 mins. Otherwise, there is a taxi stand at the airport as well. You take a ticket and reach the stand number as printed on the ticket. Tell the driver to use the meter and done. The fare will be almost the same for both the services. Generally, the fare from Suvarnabhumi airport to Pratunum Market is between 350 Baht to 400 Baht, including the toll tax. Bottom line: Use taxi rather than any other option, apart from walking. It is equal to what tuk-tuks will charge but more comfortable. The second photograph is of a Boeing and the first one is a normal plane. Thai on the other side is better according to my experience. Don’t book Indian airlines if the plane is not a Boeing otherwise you will be very disturbed during the flight. I have noticed that small planes, such as AI 334, are assigned for international trips as well. The non-Boeing planes have small seats without a TV or a footrest or a seat pocket, which is pathetic and uncomfortable. Pillows are also not offered to all the passengers on a night flight. So double check before booking. The Boeing planes are better and provide all the facilities but the service is slow. Get all the details about the Thai visa. Don’t book your flights without going through all the hacks to find the cheapest flight for your trip. All these amazing hacks are just listed to help you in the Launch Edition of our Magazine. Mistine Hawk Super Liner – is a really good product and is cheap as well. You should definitely try it. It has a superfine tip of liner on one side and Kohl on the other side. It lasts long and does not smudge. Usually, Bangkok is hot and humid. Check weather forecast prior to bookings. If you want to check out brands instead of local stuff then try and visit during the sale season. You can fetch some amazing discounts everywhere. Thailand follows GMT+7 hours. That means it is 1 hour 30 minutes ahead of India. I hope you have enjoyed reading Bangkok Tour Guide! If you have any questions, just shoot them… See you in the next post! If you like it then pin it! Thanks for sharing such a valuable information, really would like to visit Bangkok at least once. This post will be a guide to visit. I’d love to visit Bangkok and I’d love to write about it. If I ever do, I hope I can do as good a job as you have. You must someday. Thank you, Phill, I am sure you will do a great job. Do share your blog link, whenever it may be.